August 2, 2016 June 16, 2015 by Vinay Leo R.
I’ve told it often when I express gratitude – I am thankful for this love of reading that I have, and those who feed this bookworm too. 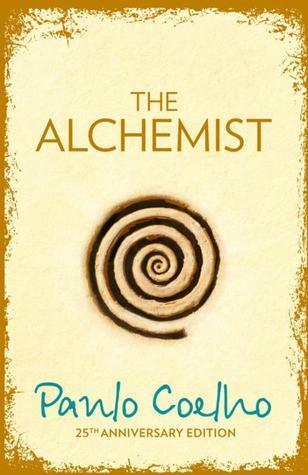 One book that came my way like that was The Alchemist by Paulo Coelho. It was lent to me by a friend, and I purchased a copy of my own after reading it. It was a book I knew I’d re-read. The book, now that I’ve seen other reviews on Goodreads and such, is something that many people look at and feel the author’s message is wrong, preachy etc. I don’t bother about that. If I were to abandon life and go chasing dreams around the world just because I read it in a book of fiction, I’d be mad. The Alchemist, I feel, just gives a message. Believe in your dreams, work towards it, and one day, you’ll find it. A quote I have been told and read since I was a child says, “God helps those who help themselves.” The book helped me to believe in my dreams. That’s it. And for helping me to do that at a time when it was needed, this book means a lot to me. Good that you found it inspiring. Paulo C has never worked for me though :/ Never even finished a second title I picked up about a decade ago, which was quite rare in those days. Like every author, he has some good books and some horrid ones 🙂 This was one of the former 😀 Thanks, Cookie!